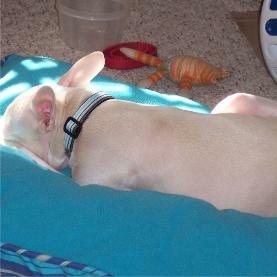 affecting dog coat colors have been found and proven in the coding sequence for this gene. pigment while others aren't too keen of their looks. There is still so little known about albinos genetically. 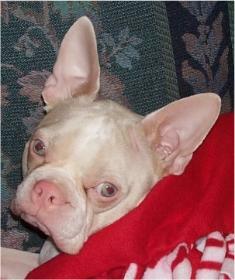 currently postulated to be two types of albinos within the Boston Terrier breed: Cornaz and Leucism. 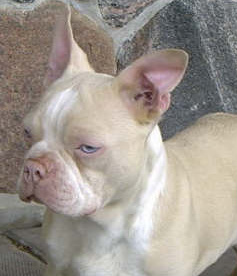 associated with the odd coloration of a Cornaz Albino Boston Terrier. with your baby or information that you'd like to share please contact us. contact us. Information from DNA color panel will be shared. Photos will be required with DNA submission. visit needed! You only have to pay for return shipping.